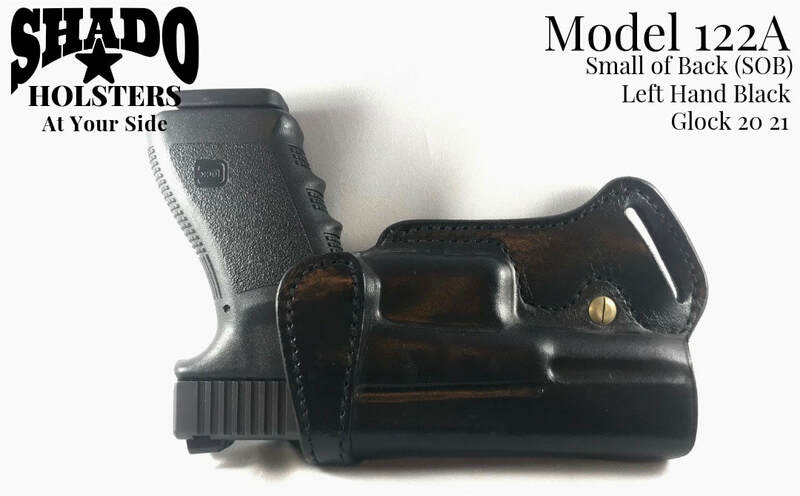 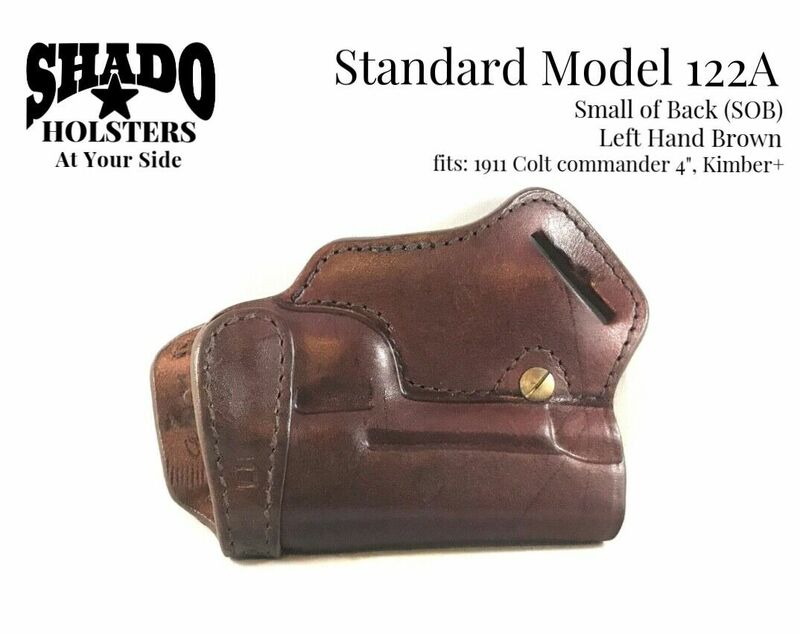 The SHADO Holster Small of Back Model features a belt loop specially designed to carry the pistol high and close to the body. 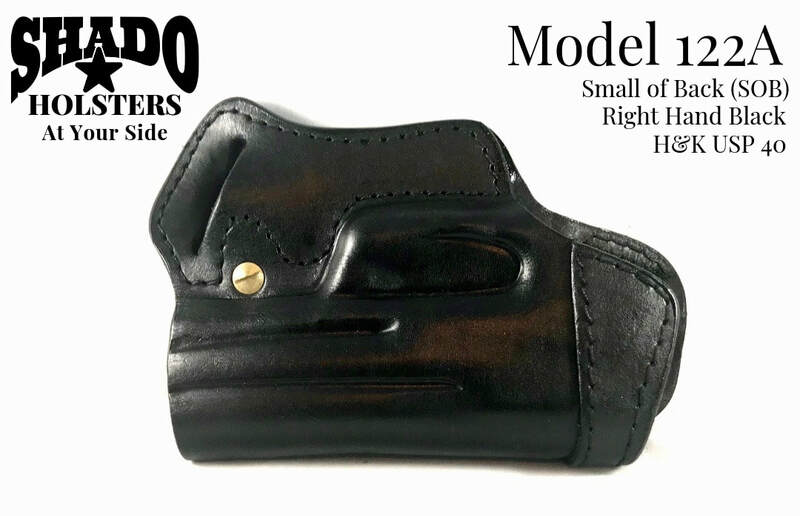 This holster is designed to be worn at the small of the back. 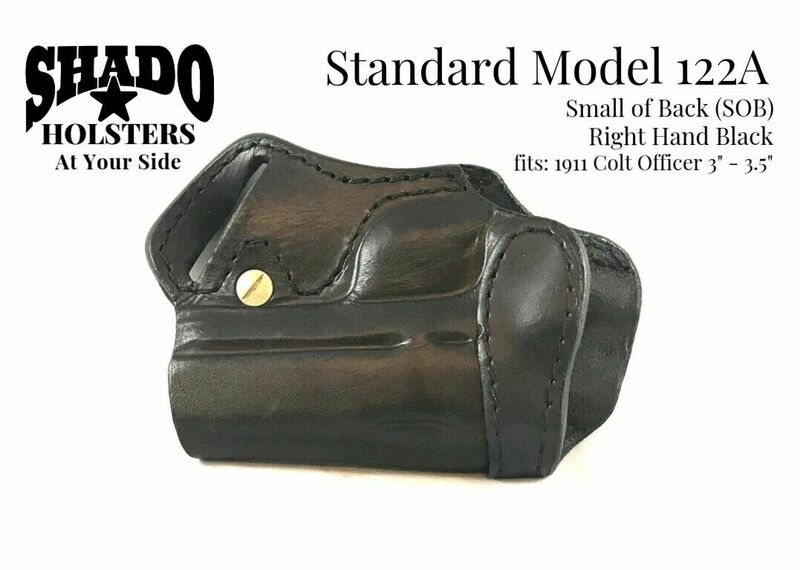 The full-grain cowhide is wet molded to fit the pistol and is hand molded to provide the ultimate fit. 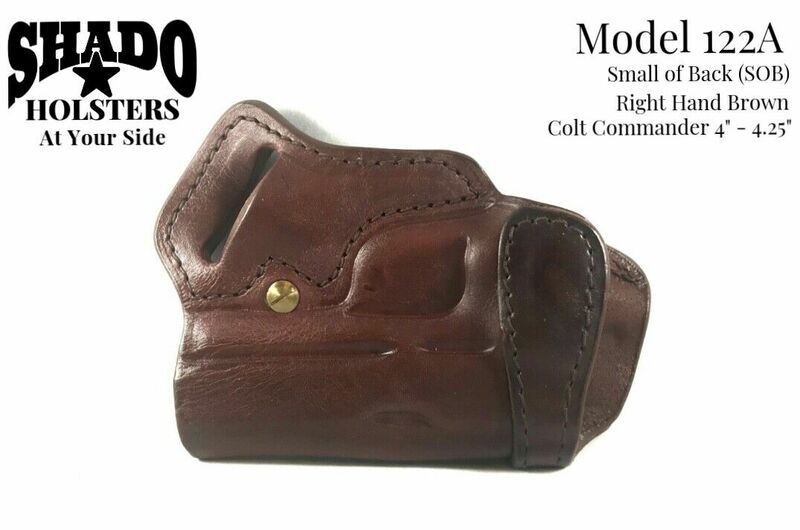 Colt 1911 Officer 3" - 3.5"
Colt 1911 Commander 4" - 4.25"